Tomorrow is the big night. Of course we all know that Meryl isn't nominated this year, but somehow her presence is always felt when I either watch or discuss any Oscar race. I think we would have known by now if Meryl were presenting, but I suppose it's still a possibility. Without further ado, here are my predictions in the top eight categories. New poster for "Florence Foster Jenkins"
I'm not sure if I like the poster yet, but I've learned not to put too much thought into whether or not this will hurt or help the film. Can we get a U.S. release date already?! It's no secret that I historically don't really follow film festivals, unless of course they somehow involve Meryl. In as much as an awards contender may premiere at a festival, I'm typically only aware of the buzz surrounding such films, lacking a great understanding of the day to day goings-on of the event. You can imagine my mild surprise to learn that the Berlin International Film Festival was a ten day showcase. In addition to Meryl's master class last weekend, the schedule had to be considerably rigorous for the festival's jury, of which Streep served as president this year. The full list of winners/awards can be seen here. Fun to see that a documentary was chosen for the Golden Bear, hopefully I'll get a chance to see it. Streep wrapped things up Sunday on the red carpet, alongside Clive Owen and other members of the film jury. Now it's time for some news on Meryl's next project! First teaser for "Florence Foster Jenkins"
Well that came up sooner than later! My first thought was "well they're definitely marketing this comedy." Which I expected anyway, but with the laughter from the crowds and the jazzy music, that's definitely the route they're going. I'm sure there will be some interesting dramatic moments as well, however. The brief scenes actually look pretty good, cinematography-wise, and I think I'll enjoy the 40's styling. As usual, when I'm super fresh from a new trailer or film it's tough to say much more than quick reactions, but I'm interested to know everyone else's thoughts. 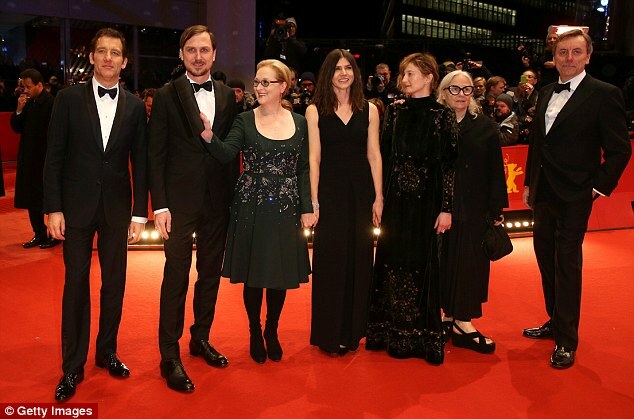 Streep opens Berlinale and people be freakin'! Unfortunately the focus has been more on a few words Meryl spoke in an interview at the Berlin International Film Festival than the films themselves. Too many people are flipping out over the fact that Meryl said "we're all Berliners, we're all Africans, really." Know your history, people. She was quoting JFK in his Berlin speech from 1963, which can be seen here, with historical background here. The majority of sites that are running headlines with the African quote are sensationalizing a thoughtful comment, taken out of context, which was meant as a show of solidarity and call for inclusion. It's too bad. That's all I have to say about that. Oh, and that's from Forrest Gump. Well this is a bit of a surprise. Most of us were assuming a late summer or more "awards-baity" release date around November/December of this year. But instead, Florence Foster Jenkins is apparently getting a May 6 release date in the U.K. No word as of yet when we'll see it in the U.S., but I imagine very close to that same date. This news does not bolster confidence in me for the film's quality. I can't imagine what the benefit of releasing it in May has, other than trying to somewhat keep it in obscurity. May 6 is Mother's Day weekend in the U.S., but since when has that been a major reason to push films? I still want to be optimistic about this and yet can only imagine the feelings of absolute dread this news will instill in countless Streepers, Although the release date seems unconventional, it's possible the marketing team at Paramount thinks this will bode well for the film's chances of success at the box office, which doesn't necessarily suggest the quality is poor. At the very least we can likely expect a trailer relatively soon, since the release is now fewer than three months away. More to follow. If you're like me and thirsty for news confirming any upcoming project for Meryl, you'll be disappointed to learn that it's looking less likely that she'll be joining Amy Schumer in her upcoming mother-daughter comedy. 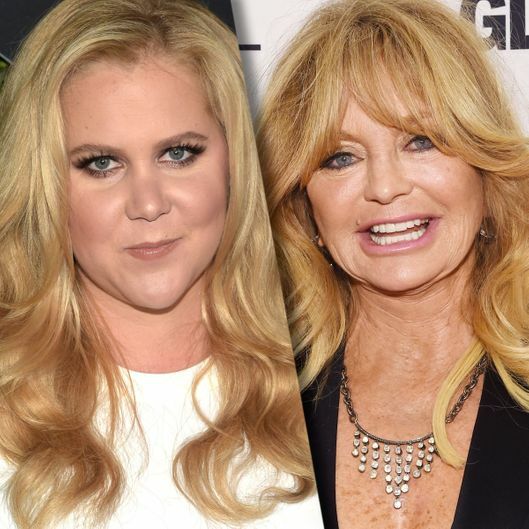 Among other sources, Vanity Fair is reporting that the great Goldie Hawn is in "early talks" to team with Schumer instead. Assuming this pans out for Hawn, I'm happy for her, as she hasn't been in a feature film since 2002's The Banger Sisters. Last summer it was rumored that along with both Sally Field and Frances Conroy, Streep was on the casting "wish list." Plot details seem tightly under wraps, but apparently the film will depict a mom and daughter who are kidnapped while vacationing in Brazil. Hilarity no doubt ensues. Jonathan Levine is set to direct with a Mother's Day, 2017 release date planned. Among other sources, Variety is reporting that actor Clive Owen will be joining Meryl on the jury panel at the Berlin International Film Festival later this month. Several other people have joined the panel as well, but I truly don't believe I've heard of any of them, with perhaps an exception being Brigitte Lacombe. It's not like I'm crazy thrilled about Owen joining her, but any attention surrounding a possible Meryl sighting is worth noting. The festival will run from February 11-21st.